Arachibutyrophobia is actually not the fear of peanut butter as an object, but the situation of having it stick to the roof of your mouth. It is often rooted in a more generalized phobia of choking (pseudodysphagia) or of sticky textures, but it may also occur alone. It's not uncommon to have more than one phobia or to misdiagnose your condition without professional help. Like all phobias, arachibutyrophobia varies in severity from person to person. For instance, some people are able to consume small quantities of peanut butter, perhaps as a dip for vegetables, while others are afraid to eat peanut butter at all. In some cases, the fear extends to other peanut products, from peanut butter ice cream to peanut sauces. Here is an example patient scenario: Jennifer was reluctant to eat peanut butter after nearly choking on a large, sticky, peanut butter and jelly sandwich. When she began to avoid peanut sauces as well, Jennifer's therapist diagnosed her with arachibutyrophobia. On the Centers for Disease Control and Prevention's list of the eight foods a person is most likely to be allergic to, peanuts are listed (along with tree nuts, fish, shellfish, soy, milk, eggs, and wheat). While being afraid of having peanut butter stuck to the top of your mouth might seem like an unusual and unreasonable thing to be fearful of, the prevalence of a peanut allergy (approximately 3 million Americans) and how serious it can be (potentially fatal) makes you understand why this phobia exists. As you can trace many specific phobias back to a traumatic incident in the past, seeing someone have an allergy attack as the result of eating peanut butter as a child, maybe at school or daycare, can have a long-lasting effect— and be the trigger behind someone's arachibutyrophobia. On the other hand, you might be able to trace your fear of having peanut butter stuck to the roof of your mouth to choking on it as a child, although you might have been too young to remember it now. Or you may have seen someone choking on it on television. Choking on peanut butter is actually quite common. 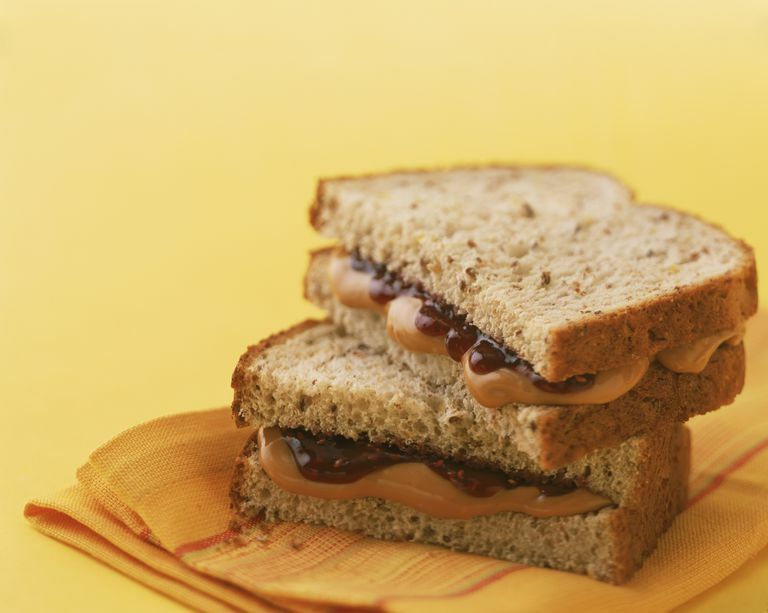 In fact, according to a report on adults and children with developmental disabilities in New Jersey, sandwiches were the leading cause of choking incidents, with a peanut butter and jelly sandwich involved in the majority of cases. Arachibutyrophobia falls under the umbrella of specific phobia and is highly treatable through cognitive behavior therapy methods. This type of therapy focuses on ameliorating your phobic reaction by helping you learn new patterns of behavior and thinking. Depending on the severity of your phobia, successful treatment can take as little as one to three sessions. Of course, some people simply avoid eating peanut butter. Remember too, treatment for a specific phobia is only needed when that phobia causes a person distress and/or an impairment in their everyday functioning. Treatment for a specific phobia is only needed when that phobia causes a person distress and/or an impairment in their everyday functioning. Food Allergy Research and Education. Facts and Statistics. https://www.foodallergy.org/facts-and-stats . New Jersey Department of Health and Human Services. (2010). Health and Safety Alert Choking. http://www.nj.gov/humanservices/ddd/documents/Documents%20for%20Web/Health_SafetyAlert_choking_063010.pdf . Sidell DR, Kim IA, Coker TR, Moreno C, Shapiro NL. Food choking hazards in children. Int J Pediatr Otorhinolaryngol. 2013 Dec;77(12):1940-6. https://www.ncbi.nlm.nih.gov/pubmed/24113156 .